In modern dentistry, it is largely possible to detect and avoid potential disease at an early stage before it leads to serious problems. This is the aim of our prophylaxis. Prophylaxis has been part of our practice’s services since 1991. Rigorous prophylactic care, combined with treatment of the highest quality, ensures our patients have healthy masticatory systems boasting exceptional longevity. We take our quality standards so seriously that we give all of our dental restoration patients who attend regular prophylactic care a 20-year guarantee on their dental restorations. In most cases, cleaning your teeth regularly on its own is not enough to prevent caries and periodontitis. That’s why we offer our patients a structured individual prophylaxis program that complements their oral hygiene routine. Today, we know that due to its interactions with the immune system, periodontitis can not only lead to tooth loss, it can also negatively impact general medical conditions and problems such as diabetes and cardiovascular, lung and gastrointestinal diseases, and even increase the risk of premature birth. The aim of regular professional tooth cleaning is to reduce bacterial plaques and biofilms to such an extent that the oral cavity stays infection-free throughout the patient’s lifetime. This also considerably reduces the risk of caries. Before teeth are professionally cleaned, the oral cavity and tooth system are first inspected, with particular attention paid to the oral hygiene situation, the levels of plaque, and any signs of inflammation, as well as the condition of the gum pockets. These findings determine how professional tooth cleaning then proceeds. Professional tooth cleaning is carried out with a variety of devices and instruments. Using sonic vibrations, different water and powder sprays and handheld instruments, we gently remove plaque from all tooth surfaces and interdental spaces. We then polish all surfaces and apply gels or varnishes to create smooth, resilient tooth surfaces. As part of professional tooth cleaning, we also give our patients important tips on how to improve their oral hygiene routine – through correct toothbrush use, using dental floss and/or interdental brushes, and using a tongue cleaner. How often is professional tooth cleaning recommended? Studies show that together with a good oral hygiene routine, professional tooth cleaning every six months is the best way to keep teeth and gums healthy. More frequent professional cleaning may be sensible and necessary depending on the individual patient’s risk of tooth decay and periodontitis. As such, we tell patients how often they should have their teeth professionally cleaned based on their personal risk profile. 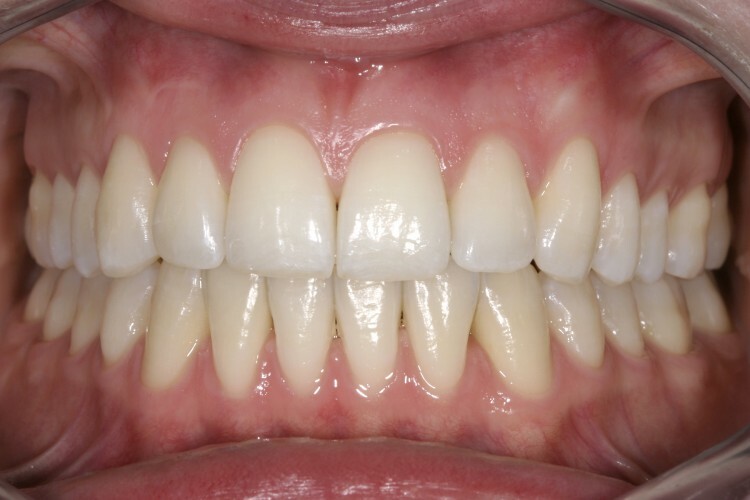 In the vast majority of cases, conservative methods of professional tooth cleaning can heal gingivitis and periodontitis completely and permanently. In a few cases, more extensive measures such as genetic risk assessments, medications or local surgery are required.